Have you heard the expression Pay it Forward? In the right context, it is actually a nice idea. People deposit acts of kindness into a karma bank, and somehow the universe knows when we need a return favor. 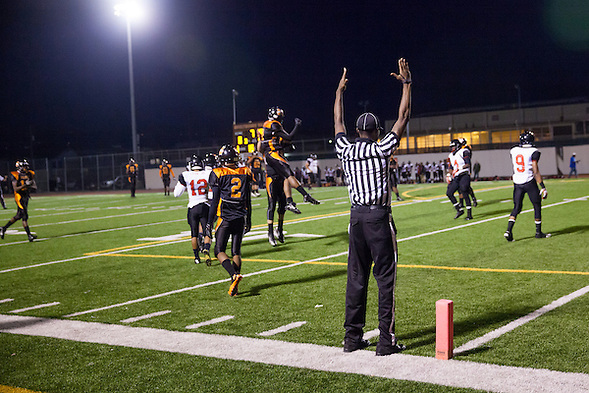 Sometimes I “Pay it Forward,” but I did not visit McClymonds High School on September 12, 2014 to Pay it Forward. I am a sports fan who loves history. 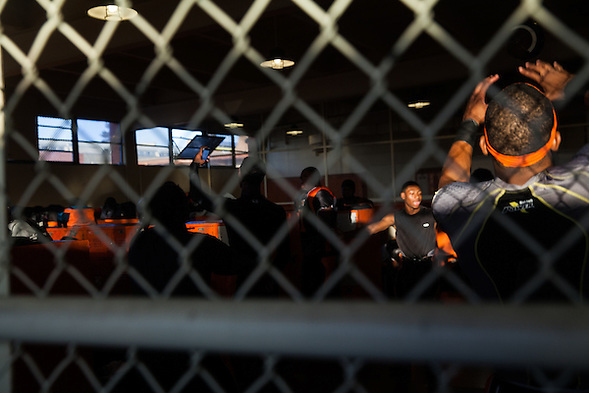 I will never be able to pay back the McClymonds community for their contributions to sports, art, and civil rights. 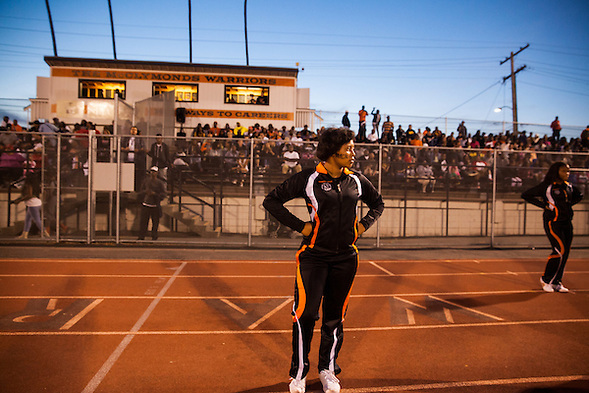 When I arrived at McClymonds High School in Oakland to photograph the game between the McClymonds High Warriors and the Selesian High Pride from Richmond, I found my friend Coach Joe Cokes. Joe was one of the coaches when my daughter ran track. Coach Joe and I visited the locker room and started taking pictures. Here are my photographs. I have been inside McClymonds several times and each time I am intimidated, and not because of the location, but by the history. In the 1950’s, Bill Russell, Frank Robinson, Curt Flood and Vida Pinson attended McClymonds. Vida Pinson is merely a four time all-star and Golden Glove outfielder, while the other three revolutionized their sports. Pinson was a Major League All-Star and he is a distant fourth on this list. I find the McClymonds students from the 1950’s especially relevant since you may have heard that “Oakland is the New Brooklyn.” No offense to the people of Brooklyn, but I am a lifelong Dodger fan. I know how this story ends. Star athlete changes the world. The team moves and the city loses its identity and cultural heroes. 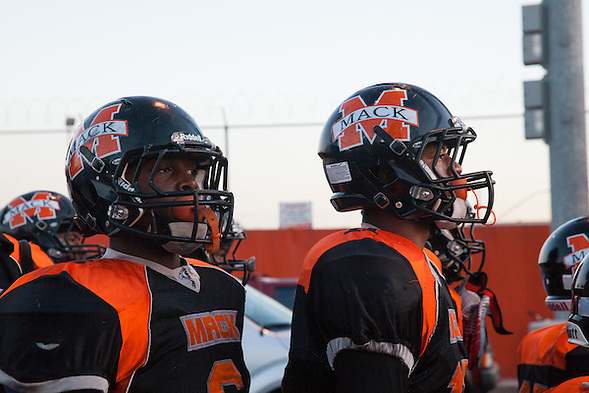 McClymonds and Oakland have not moved. Why have we forgotten our heroes? How do we pay back Mack? 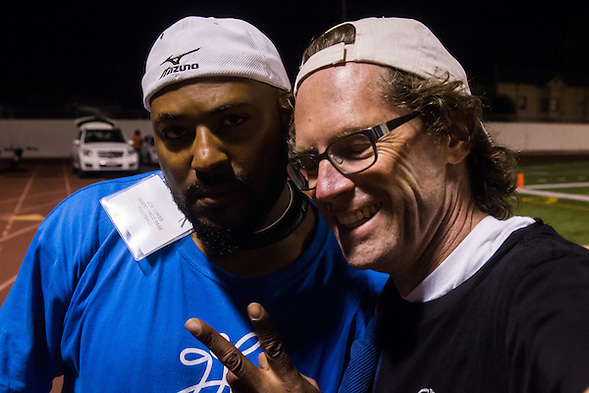 This entry was posted on Sunday, September 21st, 2014 at 11:02 pm. 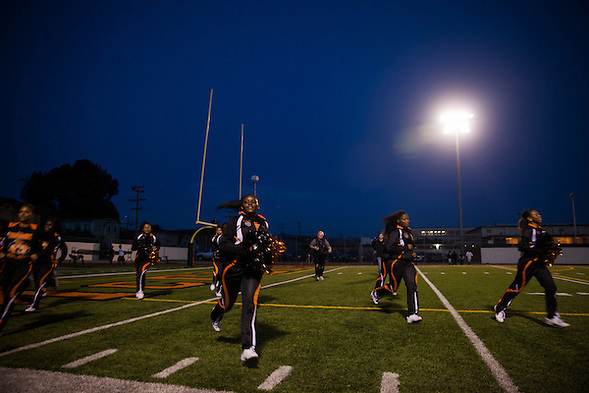 It is filed under Journalism and News and tagged with High School Football, Oakland. You can follow any responses to this entry through the RSS 2.0 feed.